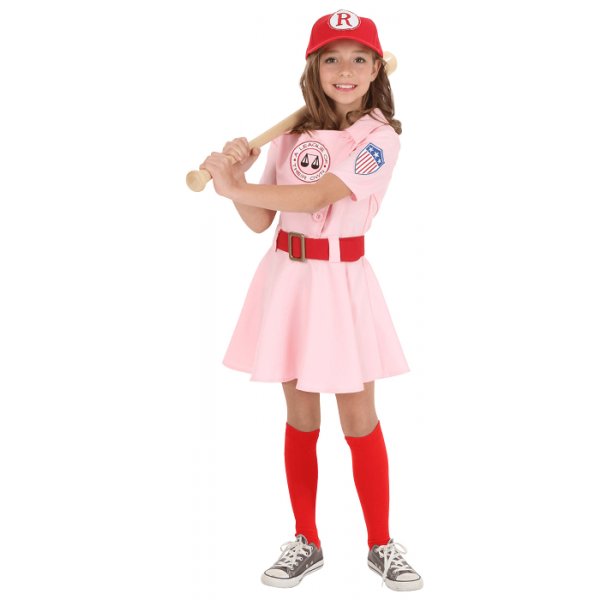 With this costume, your girl will be able to run those bases just like Dottie! This A League of Their Own costume from Fun Costumes is modeled after the Rockford Peaches uniforms. The set includes a dress, hat, belt, and socks.